Cape Town - Cricket South Africa (CSA) has confirmed the dates for the Proteas women’s inbound tour against Sri Lanka in February, 2019. The tour – which will be played across four venues – will begin with a three-match T20 International series, followed by a three-match ICC Women’s Championship ODI series. Following the team’s disappointing results at the recently concluded ICC Women’s World T20 where they were knocked out in the group stages, CSA is committed to organising more series in the shortest format with an eye on the renamed ICC Women’s T20 World Cup 2020 in Australia. The T20s will be televised, double-header fixtures alongside the men’s T20 series, while the ODI competition will give the team another opportunity to add six much-needed points towards their 2021 ICC Women’s World Cup direct qualification mission. 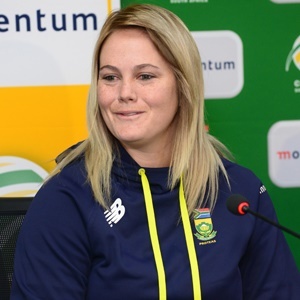 The sides met just recently in South Africa’s opening match of the Women’s World T20 where they convincingly beat Sri Lanka by seven wickets. Before that, it was another successful outing for the Proteas who claimed a 2-1 ODI series victory over their hosts in Colombo (the second match of that four-match series was washed out). “This is a very important tour on two fronts,” commented CSA Chief Executive Thabang Moroe. “The ODI Series gives us another opportunity to clinch direct qualification for the ICC Women’s World Cup in 2021 via a top four finish in the ICC Women’s Championship following our shared series in our most recent series against the Windies. “The T20 Series forms a critical component in giving our women’s team their rightful place on the global map as they will share a live TV platform with our Proteas men’s team and play at some of our premier international grounds.